SNAFU! : Way to go Lt Col Mann! Lead those squiddies into space! Way to go Lt Col Mann! Lead those squiddies into space! 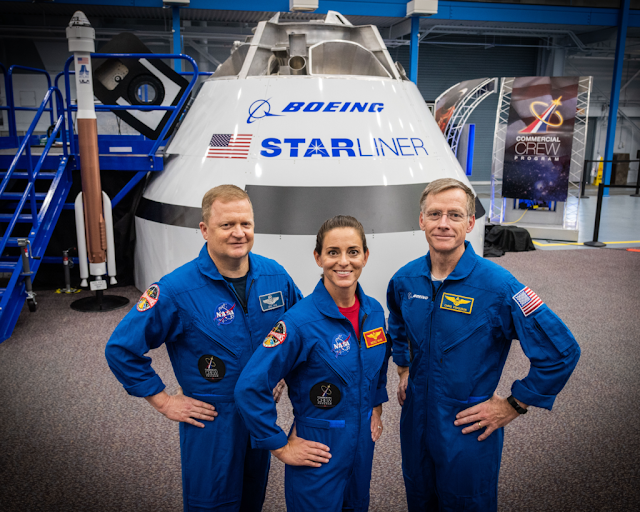 Lt Col Nicole Mann (center..should be obvious, the only one in great shape with a properly fitting uniform..and sporting the scarlet and gold on her chest) is part of the Boeing Starliner Astronaut Team. Lead those squiddies into space (that zoom boy too..somehow the Air Force always sneaks aboard even though its obvious the naval services lead the way)! Now stop the delays Boeing and light the fire on this puppy! Past time for America to get back into space!